[A] The Inca Trail leads to what landmark? [Q] The Inca Trail leads to what landmark? Tucked amidst the rainforests of the Andes, sheltered by a canyon, and hidden from the outside world lies the remains of a once-towering empire. Machu Picchu is a long-hidden archaeological treasure that tells the story of the Inca and its emperor Pachacutec. Spanish conquests destroyed much of the civilization, which led to difficulties in studying the ancient culture. Investigations and revisions occur to this day. 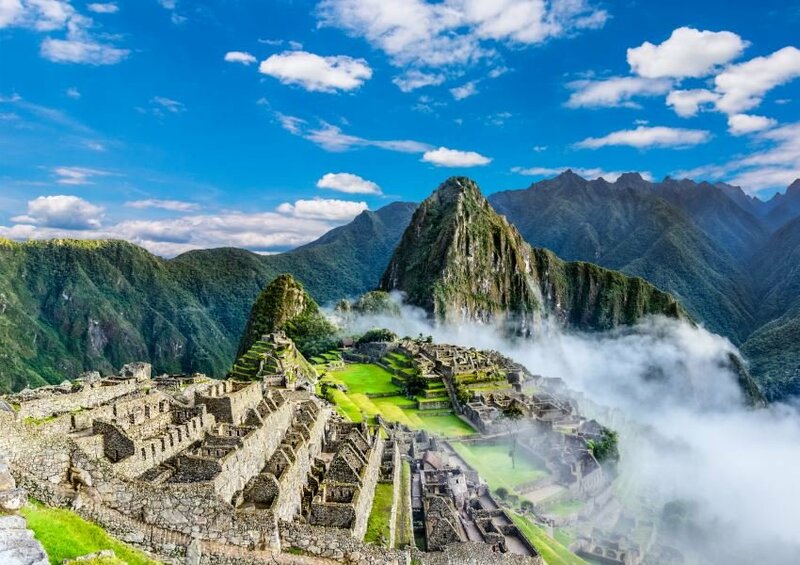 Machu Picchu was one of the few sites that the Spanish never discovered, and so it has remained as a site of inquiry, mystery, and inspiration for countless explorers and scientists. Originally thought to be a military fortification, further research has named the site as a royal estate, believed to have been built by emperor Pachacutec to house elites wishing to avoid the turmoil of Incan city life. The site is most renowned for its architecture, comprising an urban and agricultural sector. The iconic terraces surrounding the area were feats of engineering designed to ensure drainage, soil fertility, and structural stability of the nearby mountain from which it takes its name. Machu Picchu means “Old Mountain” in Quechua. The residential sector was sub-divided by the class of its inhabitants and contained some of the most notable structures. The estimated population isn’t believed to have exceeded 750 people, and that number declined drastically during the harsher seasons. Most of these inhabitants were servants who supported the residing royalty and elites. Studies conducted on human remains in the surrounding area indicate that most living here were non-native and had traveled from across the Incan Empire. It’s likely that Machu Picchu was a site of spiritual significance for the Inca. 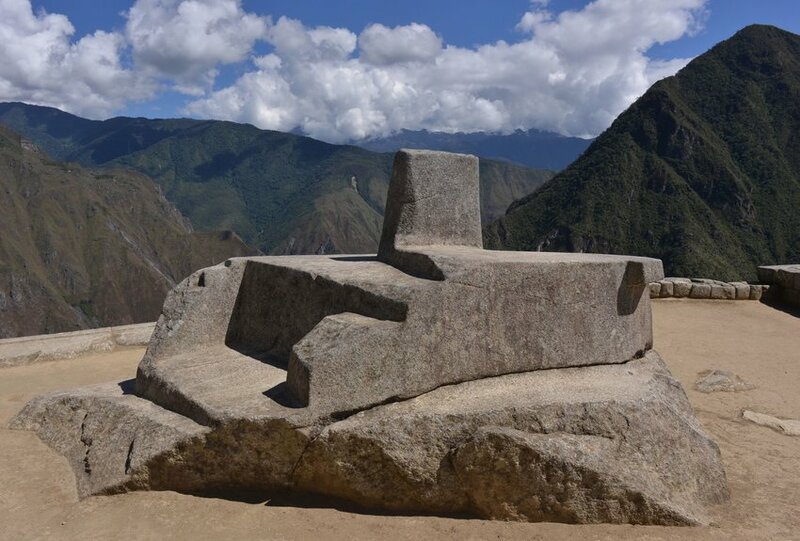 The Inca are known for their worship of the sun, and several structures in Machu Picchu show consistent resemblance to similar structures in Cusco and Pisac. The western section of the residential sector accommodates the Torréon, “Temple of the Sun.” Once towering above the city, reaching to the sky, a pair of serpent doors facing the sun open to a series of pools and a panoramic view of the surroundings. At the bedrock of the mountain, the Intihuatana stone (pictured above) stands as another monument of light. The Intihuatana is structured to point directly at the sun during winter solstice. The Intihuatana may have been used by the Inca as an astronomical tool for their calendar. The most notable sight at Macchu Picchu is the Inti Mach’ay, a ritual cave bearing the most advanced masonry in the empire. Inti Mach’ay was the ritual home of the Royal Feast of the Sun. Toward the end of the December solstice, the Inca celebrated and prepared for the shortest day of the year, after which the sun appeared for longer. At the end of the solstice, the Inca fasted and self-purified. In Machu Picchu, young boys stood in the cave to watch the sun rise as a rite of passage into manhood. Across the land, at the same day and time, the Incan people faced northeast, crouched down, blew kisses, and raised two cups of chicha, an alcoholic drink. Much of what we know about the Incan empire is derived from archeological evidence found at Machu Picchu. 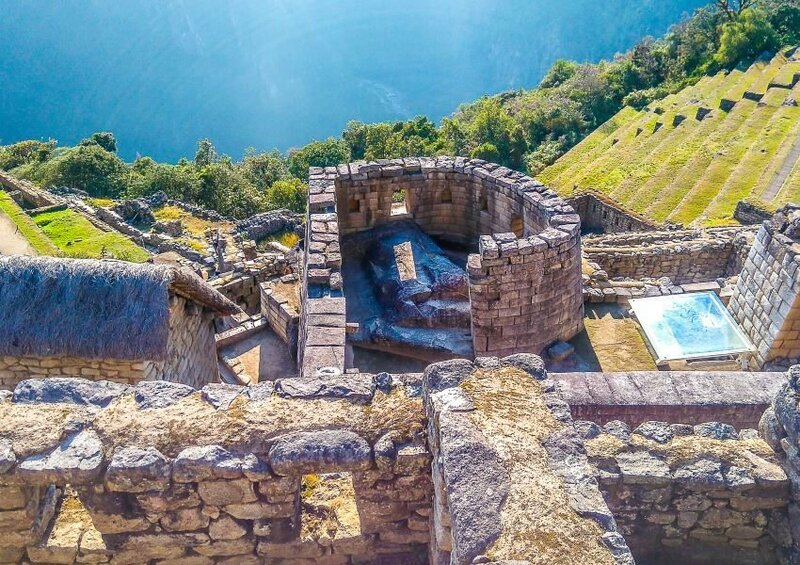 Though the ruins only tell whispers of a once-loud song, the site still arouses a sense of inspiration, wonder and adventure for those who travel to the Andes to witness the monument of Pachacutec.